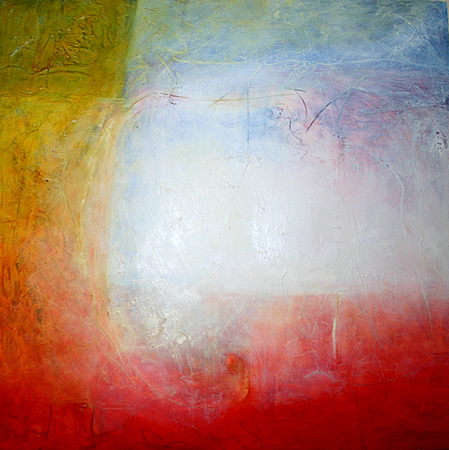 This abstract oil painting arises from contemplation and meditation. It is an exploration of a recurring theme of how to express inner experience using the limitations of matter and form. Representing light or luminosity is a common device which I tried incorporating with quite intense hues, as I wanted to show both materiality and non materiality. People really seem to respond to it once they get it is not a literal representation of something in the physical world.